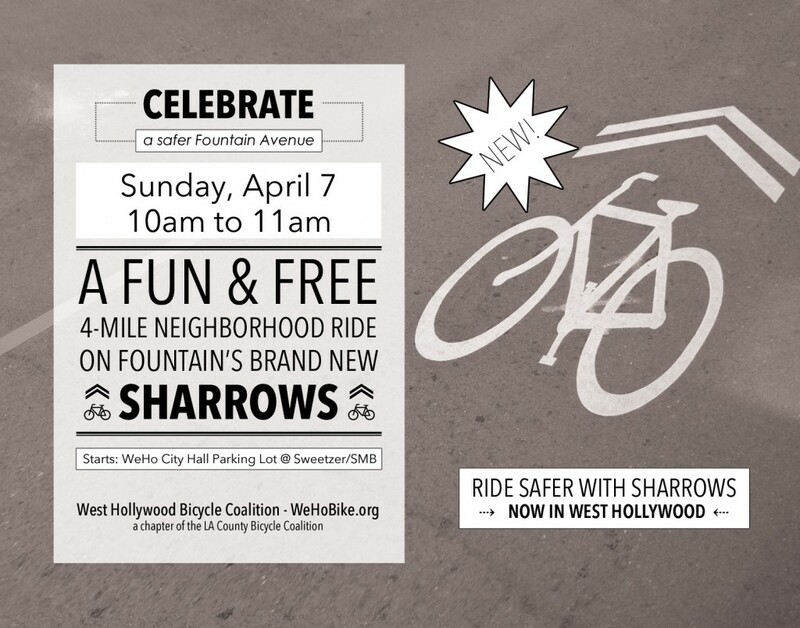 The city of West Hollywood has installed sharrows and signage along the length of Fountain Ave, and you can be one of the first to try them out! We’re holding a big group ride to celebrate this major new safety feature. And remember to sign up for our mailing list to be notified of more events like this!